Nintendo didn’t have the best of starts with the 3DS but after eight years on market, one could hardly argue it now boasts one of the greatest libraries on any platform. And with 2019 widely considered its last hurrah, support of the hardware has begun to dwindle. What better way to say goodbye, then, than with the re-release of a beloved Wii title featuring one of Nintendo’s most recognizable mascots. Kirby’s Epic Yarn is the 10th installment in the series, the first since Kirby’s Air Ride, and was doing the wool schtick well before Yoshi wrapped his long dinosaur licker around it. This is a lovely little platformer with its warm, vibrant, color palette, neat, clean user interface, and distinct aesthetic. Each character is made out of string, comprised of coloured outlines as opposed to being filled, and as you might expect from the cute bundle of joy, is a 2D side-scrolling platformer. 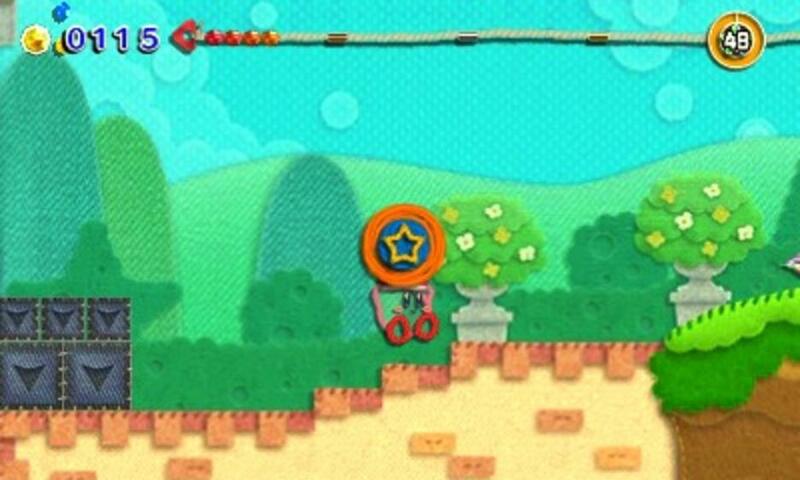 But as far as Kirby games are concerned, that’s where the similarities end. The core mechanic of the flappy pink ghost absorbing his enemies to assume their power is gone. Lost. Forgotten about entirely. 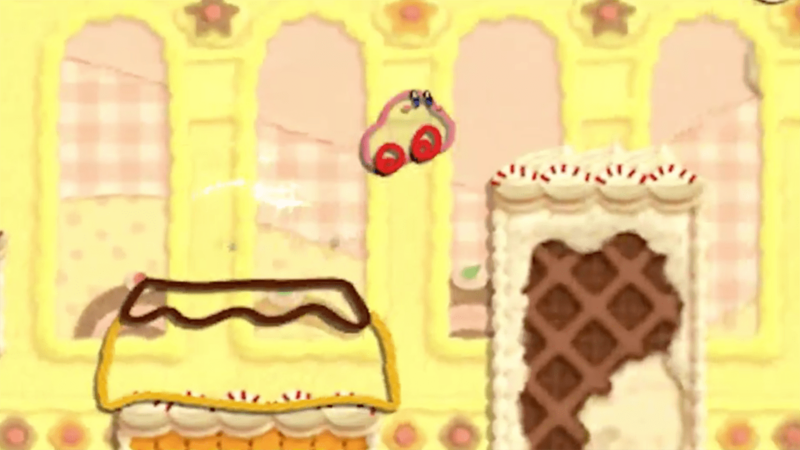 In its place, Kirby uses a Yarn Whip to unravel his enemies, roll them up and casually throw them around the place. Kirby can also turn into a car to get around faster, propel into a parachute to sail between platforms and even a heavy weight to break through underground. Kirby can also claim hats from his enemies which offer up unique abilities, such as a helmet which equips him with a sword, or a pair of knitting needles to turn enemies into a ball. It’s a lovely little touch that keeps things fresh as you move between worlds and almost certainly served as some form of inspiration for Kirby Star Allies. As you progress through levels, you can also turn into different vehicles using a Metamortex – whether it’s an Off-Roader with thick tire tracks, a Flying Saucer with pew pew lasers or an indestructable Tankbot. Each one is pretty satisfying in its own way as you blast through enemies and collect as many beads as possible. Kirby’s Extra Epic Yarn is incredibly fulfilling in terms of the overall level structure, the varying environments and diversity of play. There’s a lot of content here, between the new hard devilish mode, and the Mini Games – Dedede Gogogo, and Slash and Bead with Metaknight – as well as the amount of treasures to find. Treasures which can then be used to decorate Kirby’s flat. In chests located in the levels, you can build up your living quarters Animal Crossing style and even spend on new items with the beads collected in levels. The Extra version has even added double the amount of furniture items from the original, so that’s more table, chairs, and fireplace decor than ever before! This is one of the game’s real sweet spots, as far as I’m concerned. Platformers usually take you from one level to the next so you can beat a boss and move onto the next world. With your flat, new neighbours will move in for a chat – sometimes offering time challenges so you can get nice little bonuses like music – but you can also customise your homespace however you like and it just gives you a consistent anchor as you move between its sprawling worlds. Epic Yarn is all pretty easy, though. You can’t die during the levels – though you will keep losing stuff – and none of the levels are especially challenging. Puzzles often require you to hook onto things with your yarn whip and enemies are beaten fairly easily. Its the game’s charm which definitely carries the game throughout. And despite all the extras, one major omission is, unfortunately, the lack of two player co-op. It’s trickier to pull off on handheld, so it does make sense, but it’s obviously a massive part of the original game lost in translation. And seeing it work so well in Star Allies, it’s quite sad to lose it altogether. 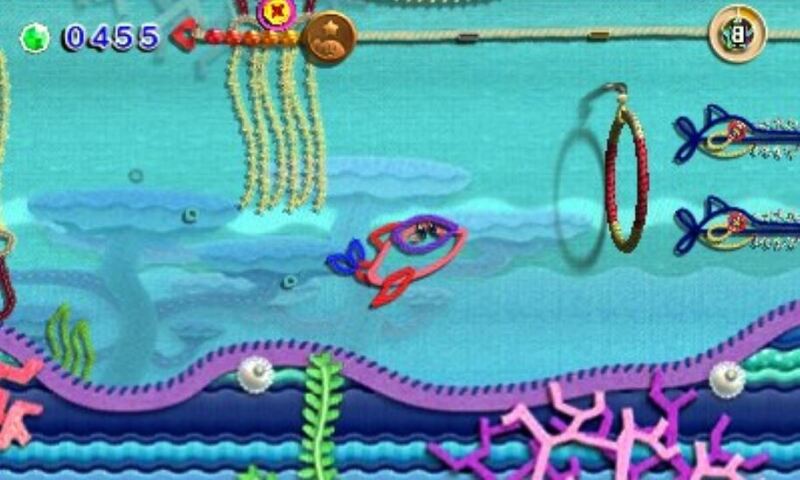 Also, amazingly, Nintendo have chosen not to add a 3D component to Kirby’s Extra Epic Yarn. It joins a growing list of games in the 3DS’ library’s later years which disappointingly don’t offer it, like Hey Pikmin, and Pokemon Sun & Moon. The effect would have been quite stunning for this particular aesthetic, honestly, so it’s a bit disappointing, though not altogether surprising. Ultimately, though, the 3DS version is by far superior to the Wii counterpart, and still offers enough new content that it’s worth a double dip. With all the new abilities, extras, as well as the Amiibo support, it’s a fantastic little port which manages to work wonderfully on 3DS and is a typically wonderful Nintendo platformer which really takes the Kirby franchise in fascinating new directions. If Kirby’s Extra Epic Yarn is the last major Nintendo release for 3DS, it’s a proper nod of the head and pat on the back to – arguably – their finest handheld system. This is a true classic Nintendo platformer in every sense of the word. Review code kindly provided by Publisher.